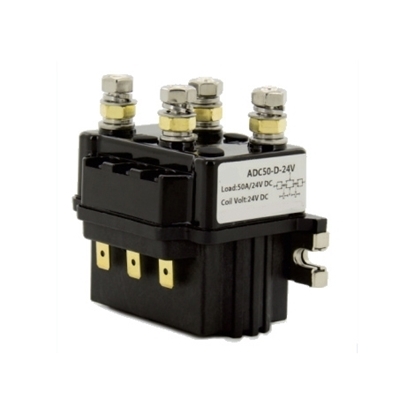 ATO ASW400 reversing contactor is used to change the direction of rotation in alternating current motors, start them gently and to monitor their load. Widely used in auto electric winch, telecommunication equiment, engineering machinery and other electric control system. 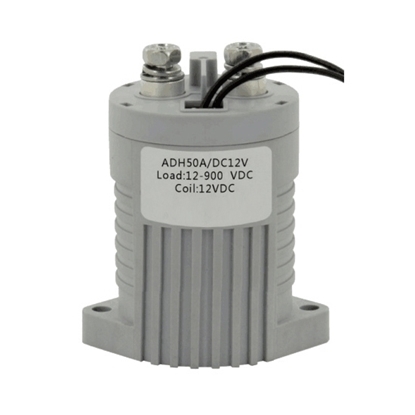 400 amps rated load current of contact circuit. 2NO and 2NC contact form. Main contact voltage drop at 100A, not above 100mV. Control line of the coil is too long, the residual voltage is too large due to the influence of lead capacitance, which is enough to maintain a close situation for the iron core. As a result, the contacts can't be separated. 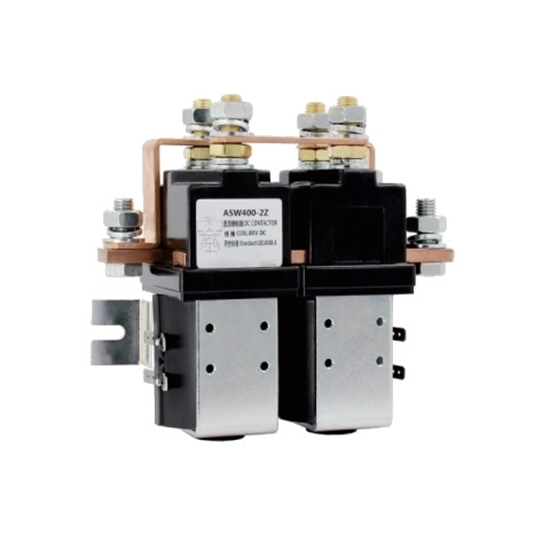 Coil of the contactor has burnt out, deformed coil skeleton seizes the movable iron core, which makes it unable to move, thus the contacts can't be separated. The contact has been fused. 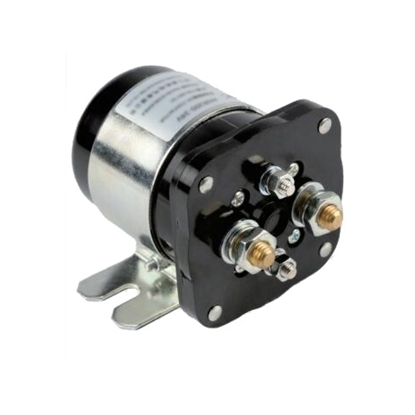 The contactor has auto-lock function, and the function is normal. 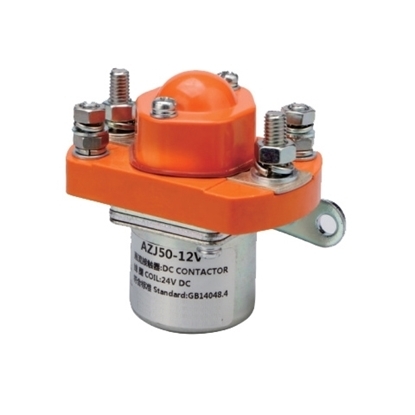 The reversing type of DC contactor has been designed for direct current loads, particularly motors as used on electric vehicles such as industrial trucks. 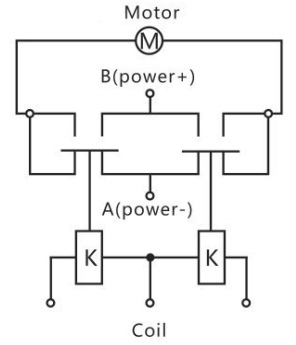 In this video, ATO will show you how to use a DC reversing contactor for the DC motor forward and reverse control. I purchased three of these contacors, they work perfectly for my projects. Best price as well, will buy again as needed. 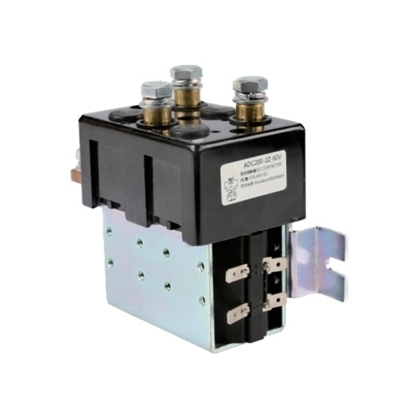 Very impressed with the quality of this 400 amp dc contactor. It easy to use and dose not take up much room, has lasted a long time with no problems. The DC reversing contactor worked fine, but after replacing it, my winch still didn't work. Found out it was corroded battery terminals that was causing the problem. Cleaned them up and it worked. Only complaint would be that it is a little pricey.